This past Saturday was an absolutely beautiful day here! 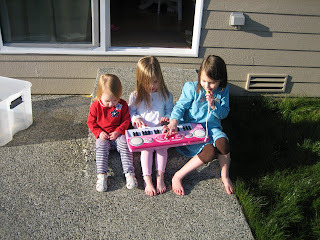 It was the first day in a very long time that it was warm enough to really go outside and enjoy the day. 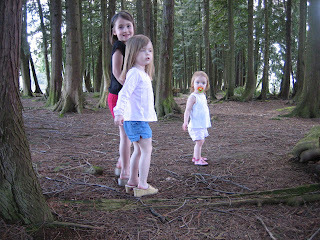 We went to a local park and just let the girls run around and explore. 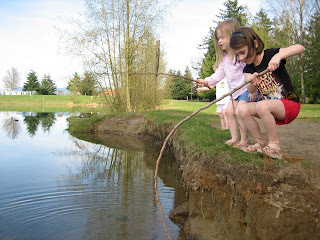 The girls were "fishing" in this picture! I just had to share these pictures! 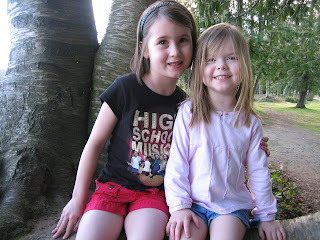 We have had a few days of really nice weather lately so we have been spending lots of time outside! 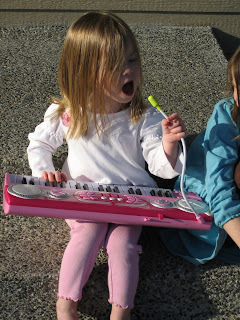 One day the girls decided to take their "instruments" outside and play. It was pretty funny to watch! I can only imagine what our future holds! 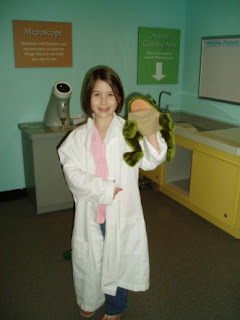 We also went to the Imagine Childrens Museum in Everett during Spring Break with all our friends. It is so much fun although it was a little crowded the day we went. 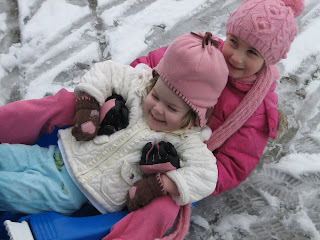 The girls still really enjoyed it though and we can't wait to go back again! 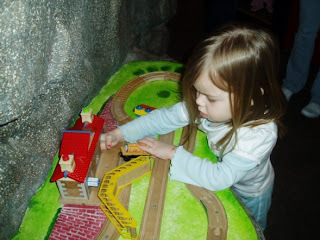 Madison also loved the trains! 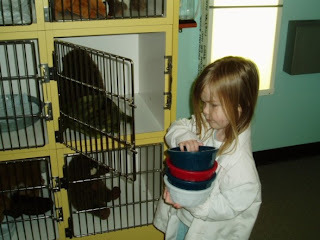 Rylie's turn to play "vet". 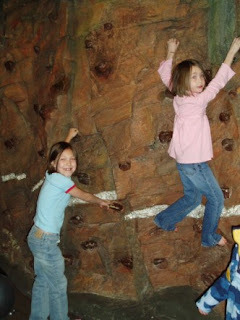 Rylie's turn to be a monkey...no surprise to any of us! 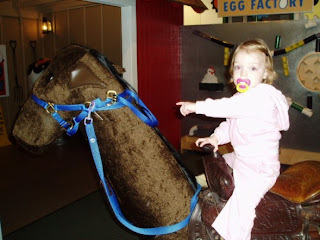 Taitlyn on her first "horse" ride! 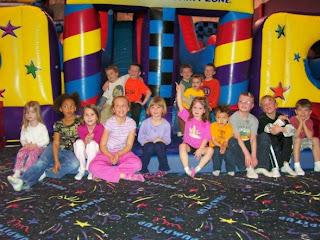 During Spring Break we all went to Pump It Up for a fun day with our church friends. The girls all had a blast! Our group minus a few who didn't want their picture taken! 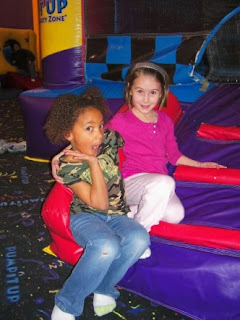 Rylie and her friend Tia that went with us. Taitlyn is either going in or out...who knows!?!?! 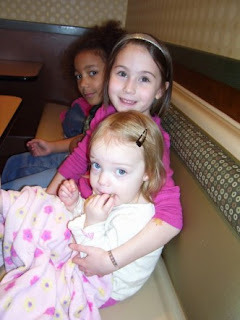 We went to McDonalds afterwards for even more fun! 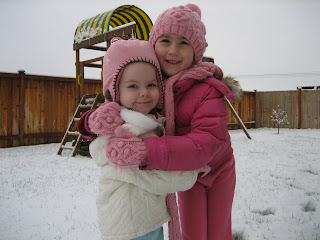 Spring Break was the first week of April (I know...I'm a little behind) and it started off great...with snow!!! 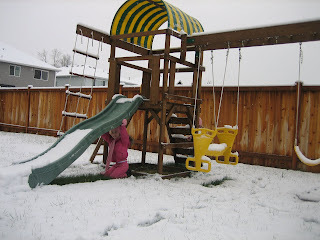 I can't say that is how we had hoped it would be but the girls had a lot of fun and they didn't even seem to notice that it was freezing outside! 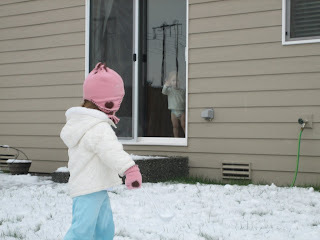 One of the funniest parts of the day though was the fact that Taitlyn refused to go outside! She has decided that she is not a big fan of snow so we all played out in the backyard and she just watched from inside...laughing and waving at us! Rylie found a dry spot! Madison's favorite thing to do was eat the snow. 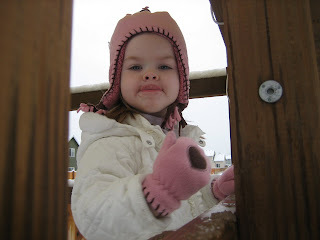 She is licking her lips in this pic after a tasty snowball! 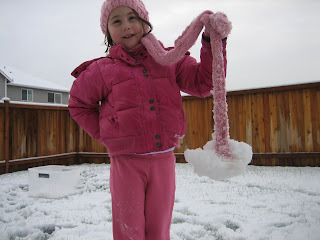 Rylie's scarf kept dragging behind her and before we realized it, it was forming it's own snowball! We all had a good laugh! 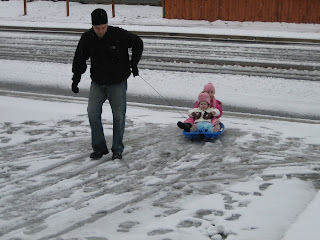 If you look closely in this picture, you can see Taitlyn at the back door waving at us! Please be praying for a friend of mine, Kasey, and her infant son, Ethan, who was just diagnosed with a rare form of Luekemia. My heart is broken for her and her family during this time but I am confident that God will see them through and give them the strength and peace they need for each moment of every day. 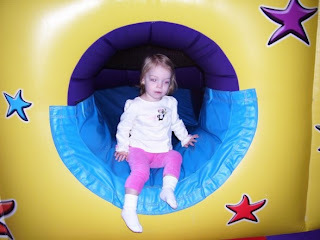 You can check out their blog at: http://ethankrawiec.blogspot.com/.